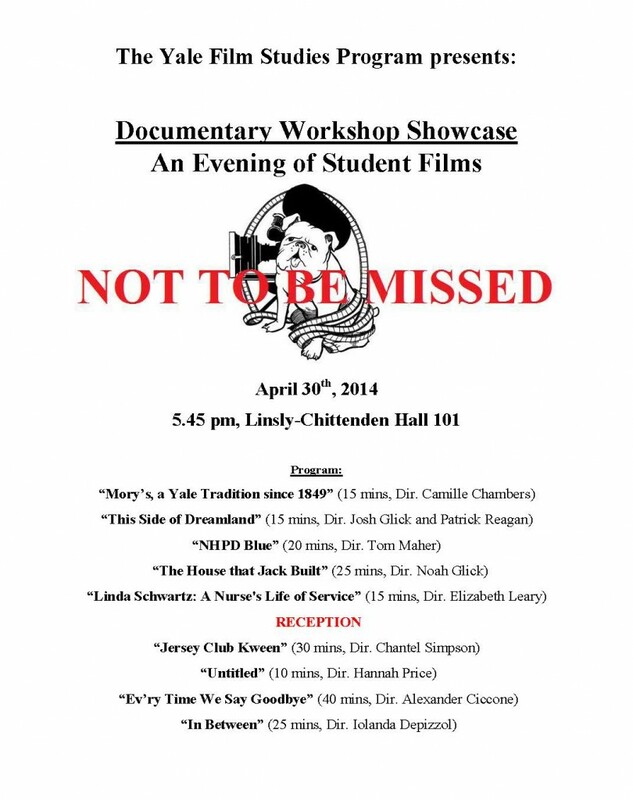 We are going to be screening the results of Documentary Film Workshop, a year-long course which I taught in the fall. Israeli filmmaker David Fisher, who came to Yale on a fellowship, then took over in the spring while I went on leave. It has been a great experience to have him here –for me and also the students. So I am going to see the final results on the 30th.